Indonesia's National Safety Commission says airplane equipment and carrier safety failures are to blame for the deadly Lion Air crash last month. The government report suggests the airplane should have been removed from service because of earlier reports about problems. The passenger plane crashed into the Java Sea October 28, just a few minutes after leaving Jakarta. All 189 people on the plane were killed. The plane had been traveling to nearby Banka-Belitung island. The Commission's chief said investigators are trying to understand why engineers had judged the plane to be airworthy. "We need to compare the statements of the engineers with the required procedures," he said. Information from the recovered black box showed that the pilots struggled with a safety system that was broken. The system forced the front of the plane to turn down as the pilots fought to keep it up. Also, the report says the pilots seemed unable to correct several other equipment failures that happened at the same time. A crash investigator said that pilots seemed unsure about which problem to deal with first. The plane's voice recorder is missing. The report said pilots need to be informed of reports of equipment problems and be better trained for emergencies. The plane that crashed is the newest type of Boeing's popular 737 jetliner. One safety system pushes the nose of the plane down if it senses the nose is pointed too high and the plane is in danger. Problems were noted with that system on reports of earlier flights of the plane that crashed. Pilots who flew the plane the day before the crash told investigators that the system failed. They said they were able to shut it off and land safely. The plane experienced technical problems in four earlier flights. "We need to find out what happened and why the pilots took different actions. That why we really want to have the cockpit voice recorder," the investigator said. Boeing said in a statement after the crash that the new model is as safe as any airplane in the sky. Boeing noted that the investigators' report said pilots' actions led to the crash. The statement also spoke of repair work and procedures that had failed to fix the airplane's problems. Peter Lemme is a former Boeing engineer who wrote a piece about the crash. He told the Associated Press that the plane's nose went down and pilots pulled it back up 26 times during its 11 minutes in the air. Lemme said it appears that the pilots failed to understand the problem or the method for dealing with it. Lemme said he was troubled that the pilots of the plane were not warned about the problems of earlier flights. He also expressed concern that the plane had not been repaired after those flights. "Had they fixed the airplane, we would not have had the accident," he said. 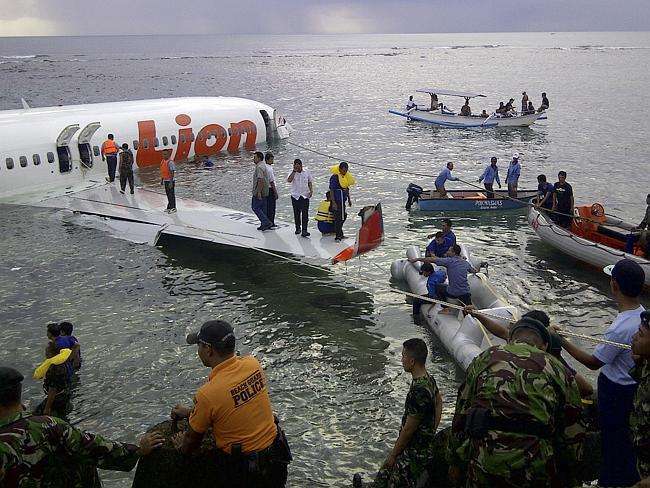 The report advised that Lion Air ensure it follows proper operating procedures to improve its "safety culture and to enable the pilot to make proper decisions." It also advised the airline keep full documentation about technical problems on flights. From this black box came the bulk of revenues and bonuses. I hope we can find out about it. He kept turning the central heating down. My car's broken down-would you give me a push down the road? 5.They said they were able to shut it off and land safely. They pulled over and shut off the engine. 6.He told the Associated Press that the plane's nose went down and pilots pulled it back up 26 times during its 11 minutes in the air. He pulled back forces from Mongolia, and he withdrew from Afghanistan. The platoon pulled back to safety.